Many Irish racing greyhounds are exported to Spain each year. 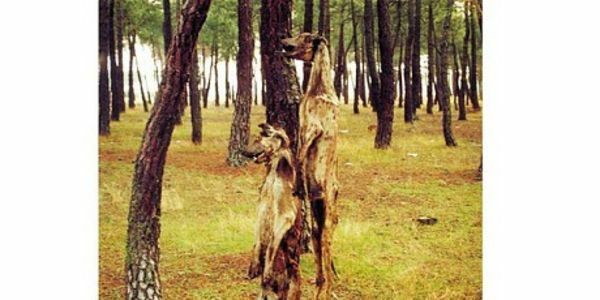 Greyhounds in Spain are generally treated callously, used and abused and then disposed of in the most horrendous ways. Many are hung from a tree with their feet just touching the ground so they 'dance' to live until they no longer have the strength. Others are thrown alive down wells or left in the 'campo' with their legs broken so they cannot walk and thus die a slow agonizing death. Spanish rescue groups are already unable to cope with a vast number of abandoned sighthounds and clearly struggle to help Irish greyhounds too once they have outlived their usefulness. We are thus calling on the Irish Department of Agriculture, specifically Minister Michael Creed, to stop Irish greyhounds being exported to Spain. We the undersigned kindly request that you take prompt and decisive action to stop the exportation of Irish Greyhounds to Spain, a country with an appalling record of abuse towards sighthounds. I kindly ask Minister Michael Creed to intervene urgently to stop the transport of Irish Greyhounds to Spain, a country widely condemned for the abuse of sighthounds. Thank you for signing the No Irish Greyhounds to Spain petition. You can follow the campaign on the No Irish greyhounds to Spain facebook page.